Are you thinking about your goals for next year? Do you have a strategic plan for your business? Or you know that business planning is important, but you’re not quite sure where to start or what to include? Either way, you’re on the right track. Every business, regardless of the type, needs an annual strategic business plan. Creating your plan doesn’t have to be difficult. 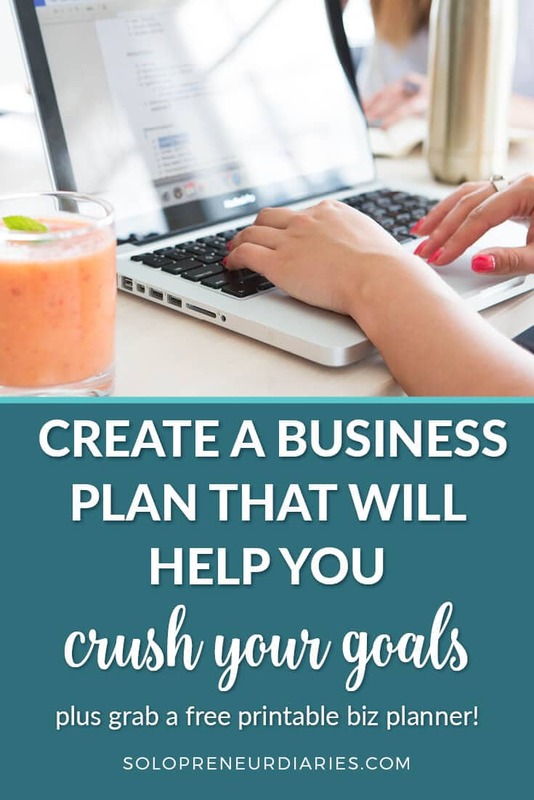 Just follow these steps and you are on your way to creating a plan that will help you crush your business goals. Before you look forward, it’s helpful to spend some time looking back at the prior year. Recognizing your successes will enable you to leverage what’s working. And reflecting on the areas that didn’t go so well will give you insight into opportunities for improvement or things to let go of. When you create a strategic plan, remember the reasons you started your business. That should be your focal point. Who do you serve? What products or services will you provide? What is your mission? These are the main reasons you are in business and they should always be at forefront of your mind when you are making decisions. When you see the big picture, you will be less likely to get caught up in the day-to-day details of running your business. You also need to focus on your big goals. Do you have a certain amount of money you want to make during the year? Do you want to create multiple products or have several physical locations? Is there a lifestyle goal that you want your business to support? Everyone’s big goals will be different, but you should be sure to include yours as part of your strategic plan. Keep it simple, high-level, and targeted. I like to create a goal card with my high-level goals. By putting your annual goals on a small goal card you can’t go into too much detail, which will keep you focused on what really matters. Once you have your high-level goals, it’s time to map out a high-level plan. Think of your business plan as a pyramid. Your mission statement is at the base of the pyramid while your big goal is at the peak. Everything in between is a step you need to take that will get you to the top of the pyramid. These steps are your plan. It’s helpful at this point to start with your desired end result and work backward. If you know where you want to go, it’s easier to determine the path that will get you there. Your annual financial target is a good end result to work backward from. What products do you want to create and when? How many clients will you book each month? How can you add some passive income or affiliate income to your business? What will you do to increase your exposure and expand your reach? Don’t get too far into the weeds here. You don’t need to plan a whole year’s worth of action steps at one time. A better idea is to plan your year at a high level, staying focused on the big picture. You’ll go into more detail in the next step. I’m a huge fan of 90-day business plans. 90 days is short enough that you don’t lose focus but long enough that you can make significant progress toward goals. This is where you break your plan down into smaller, actionable steps that can be completed in the next three months. Don’t say “I want to write a book.” Instead, break the process down into smaller increments. How much time will you dedicate daily or weekly to writing? Do you want to find a publisher or look into self-publishing? You’ll need to find an editor and hire someone to design the cover and layout. These are specific, actionable steps that you can cross off your list once they are completed. These action steps form the basis for your 90-day plan. Consecutive 90-day plans will create a pathway to the top of the pyramid – your big goal. Decide how you will measure success and then to set up a system for tracking your progress. Think about what makes sense for your business, then pick a few metrics that you want to track on a monthly or weekly basis. But also look beyond metrics to actions, which you can control. Pick a few action steps that you need to perform on a consistent basis and set up a tracking system to measure your success. Your success measures will be concrete milestones that show that you are on track, progressing as you had planned. This is where the rubber meets the road. There is no point in having a plan if you don’t execute the plan. Set up a system for performing weekly and daily action steps. The best way to do this is to commit to your system, whether that is a calendar, project management app like Asana, or paper planner. Assign tasks to yourself or your team and really stick to your deadlines. Pro-tip: If the word “deadline” causes resentment or gives you a mental block, call them milestones instead. Instead of chasing bright shiny objects each day, you’ll develop a mindset of discipline and accountability to follow through on your strategic plan. And that’s how you get to the top of pyramid! Does this sound overwhelming? Don’t worry. I can help. Grab your free biz planning workbook below and you’ll be on your way to a solid strategic business plan in no time. Ready to Have Your Best Business Year? « Ready to Have Your Best Business Year? Great tools. Not just for business but life also. Thank you for sharing! You bet, Sharon! Thanks for stopping by and commenting.